A serious engineering study and report has dispelled the myths and propaganda peddled by fired former Eskom CEO Brian Molefe and suspended Eskom acting CEO Matshela Koko on the limits and costs of accommodating significant levels of variable renewable energy capacity in the South African power grid. Note: To ensure strict technical accuracy, significant parts of the text below, particularly the results detailed, are taken directly from wording in the report. The study and associated report was prepared for the South African Department of Energy (DoE) and Eskom, and commissioned and funded by the Deutsche Gesellschaft für Internationale Zusammenarbeit (GIZ) under the DoE’s South African – German Energy Programme (SAGEN). The study was conducted by international engineering consultants Dr.-Ing. Markus Pöller and Marko Obert, of Moeller & Poeller Engineering GmbH (MPE), and was published in South Africa in September 2017. 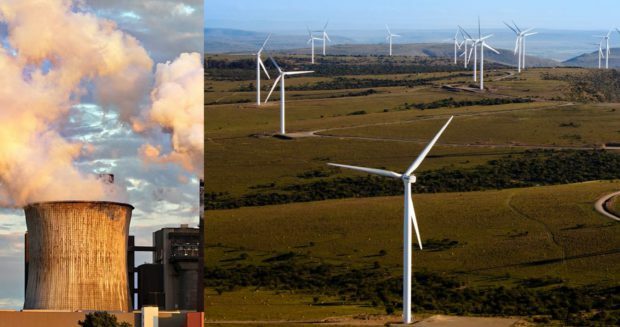 The study report is entitled “Assessing the impact of increasing shares of variable generation on system operations in South Africa – a flexibility study”. The report presents the methodology and results of the study, which investigates the increased flexibility requirements of the South African power system resulting from increased levels of renewable generation in the time-frame up to 2030. The study further analyses whether the existing and planned power plants will be able to cope with these requirements. Finally, the study quantifies the costs associated with the increased flexibility requirements imposed by the variable renewables (wind and photovoltaic solar). The study report confirms that the South African power system will be sufficiently flexible to handle very large amounts of variable wind and solar PV generation, especially when considering the addition of combined cycle gas turbines (CCGTs) and open cycle gas turbines (OCGTs) proposed in the Draft IRP 2016 Base Case. To cope with increased flexibility requirements resulting from the installation of 4,2 GW of wind generation and up to 12,8 GW of solar PV by 2020, and 11 GW of wind and 27,5 GW of solar PV by 2030, as detailed in the Draft IRP 2016 Base Case, flexibility requirements can be handled by existing and planned power plants at moderate additional costs. By 2030, the addition of CCGTs will even reduce the cycling requirements of coal-fired power stations, even with 20 GW of additional rooftop solar PV. In the case of very high rooftop solar PV installations (10 GW in 2020, and 20 GW in 2030), it is recommended to move pumping operation of pumped-storage power plants from night to midday, when residual load is at its minimum value. This relaxes the residual load requirements and allows coal-fired power plants to operate at higher levels. It can also help reduce the amount of curtailed solar PV energy. Up to 2020, the allocated operating and emergency reserve does not need to be increased, even when adding 10 GW of additional rooftop solar PV. Up to 2030, the operating and emergency reserve will still be sufficient to balance the increased variability of wind and solar PV generation capacities proposed in the draft IRP 2016 Base Case. When installing 10 GW or 20 GW of rooftop solar PV in addition to utility scale variable renewable energy capacity proposed in the Draft IRP 2016 Base Case, the operating and emergency reserve must be increased to balance increased variability. However, the required additional operating and emergency reserves are in the moderate range. Application of professional short-term forecast tools/services for wind and solar PV prediction, including a system for short-term prediction of rooftop solar PV. In the case of very high solar PV installations (e.g. 27 GW by 2030): Allocate higher levels of operating reserve and emergency reserve in the afternoon hours. In the case of very high solar PV installations (e.g. 27 GW by 2030): Operate pumped-storage power plants in pumping mode during mid-day (and not during night time) when residual load is at its minimum value. Other modifications to operational procedures (day-ahead planning, intra-day planning, real-time operations) are not required with in the time frame and levels of wind and solar PV studied as detailed above. The study confirms that very large penetration levels of wind and solar PV can be handled by the system from an active power balancing point of view, at moderate additional costs for balancing services (i.e. increased reserve and increased cycling of thermal power plants). Other aspects, like voltage issues resulting from the operation of the South African power system with very high levels of distributed solar PV, and the additional reactive power compensation equipment potentially required and/or new strategies for reactive power and voltage control at distribution levels, was not studied. However, the report recommends that this should be analysed in follow-up work to the study.